Well. I’m not really sure how to say “thank you” for all the love on yesterday’s post, so I guess I’ll just…say thank you. Thank you so, so much. A bunch of you said that you felt as though you knew me, even though we haven’t met. I can assure you that I feel exactly the same way, and consider myself so lucky to be a part of the community of readers and commenters here at CR. I’m really excited to tell you all about the next year of my life. Right now, it feels bizarre to be picking and choosing how I’d like to use my time, because it’s been so long since I could do that. More to come. For now, let’s talk about the beautiful dish you see above. 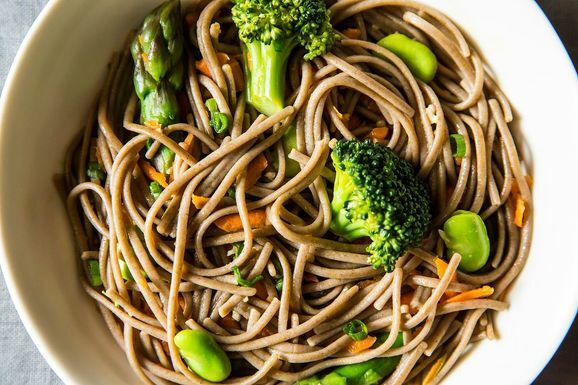 This dish is full of contrasts: hearty, earthy buckwheat soba is paired with light spring vegetables. Bright green pops out against golden brown. Soft noodles meet crispy asparagus and chewy fava beans. Warm ingredients are dressed with a cool ingredient, then chilled to perfection. This is a soba noodle salad with spring vegetables, and it’s totally delicious. 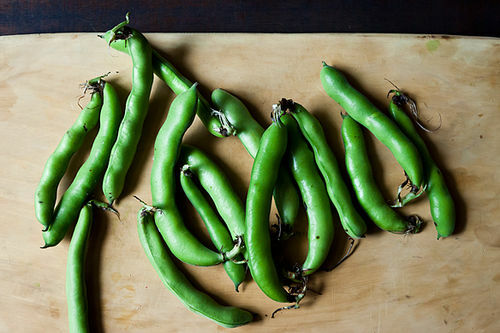 In today’s Food52 column, I tell you all about working with fava beans, one of springtime’s most short lived and unique produce offerings. 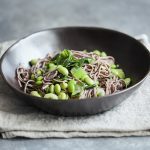 Fava beans add protein and texture to this cold, soba noodle salad. 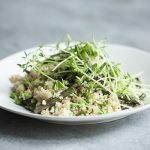 I’m sure you’ve had soba noodle salad before–it’s sort of a vegan mainstay–but this was my first time enjoying it with unconventional vegetables. 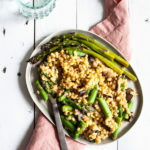 Sure, there’s some broccoli and carrots, but asparagus? Favas? Unexpected, yet it all works beautifully. I love this comment. Thank you! 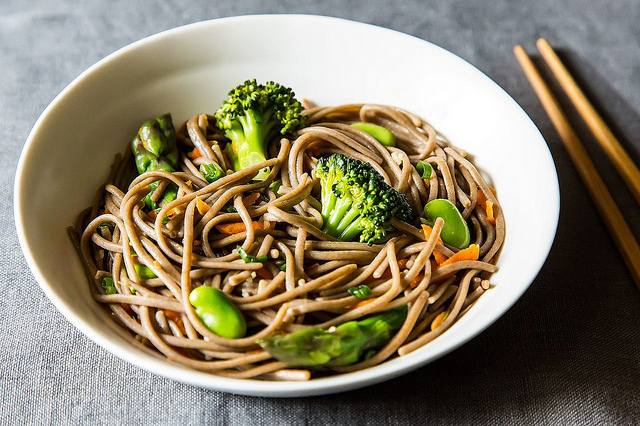 I had cold soba for the first time about a week ago and it was one of the best things I’ve ever eaten–excited to make your version! 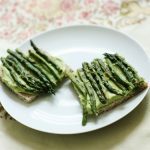 Loved your post yesterday, I questioned going into the medical field and ultimately ended up in Nutrition. It’s been the best decision I ever made and don’t regret it one bit! This recipe looks delicious, I am totally in the mood for cold pasta salads now that it’s hot out! I was just looking at fava beans at the store the other day and wondering what to do with them! Thanks for this gorgeous recipe! I used to eat cold soba noodles quite often, but it’s been years now since I’ve had anything of the sort. I think this dish has convinced me to try it out again, especially if I can find fleeting fava beans. They are certainly among my favorite legumes. Asparagus, too, is always such a treat. Thanks for a great springtime meal! yum yum yum! i love soba! This looks great! I’m always looking for recipes that will be filling, but that can be served cold. Makes it quick and easy to grab for lunch on the way out the door. All your recipes look and sound delicious, Gena! I’m a student trying to gather data on the subject and what prevents people from following through. If you have 3 minutes, please take my survey — I would so very much appreciate it! Trying to help everyone make healthier choices one step at a time. I’ve never made soba noodles or fava beans before, but I might just try after seeing your pictures. Looks fantastic and I love the different colors and textures!